I don’t recognize the Flint I’m seeing on TV these days. 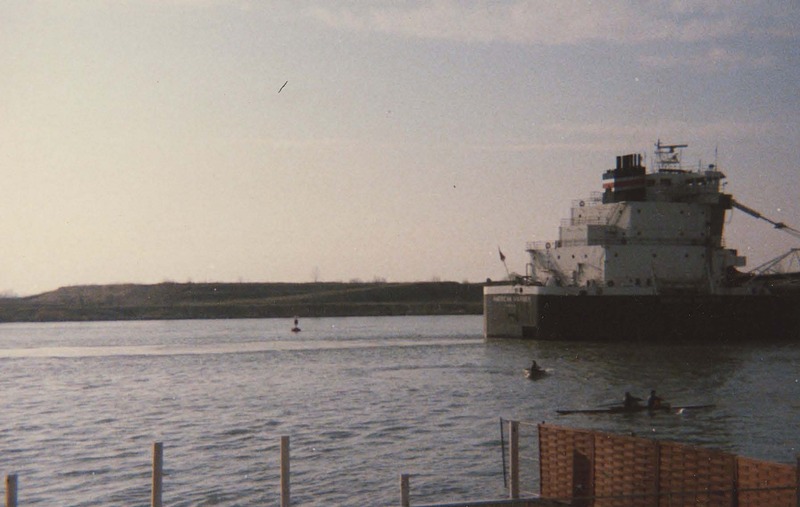 I was born in Flint, Michigan, in 1953, and attended public schools from kindergarten through high school, and two years of college, before leaving in 1973 to attend the University of Michigan in Ann Arbor. But my family’s history in Flint goes much deeper than that. My grandfather, William Wise Hayden, established a dry cleaning shop at Leith and Industrial, across from the Buick Motor Company factory, after returning from his Army service during World War I. My uncle Bill helped lay the red bricks that are still the distinguishing feature of Saginaw Street downtown. My father, Fred Tarver Sr., worked as a letter carrier and then a technician for the Flint branch of the U.S. Postal Service from his arrival in 1951 until his death in 1973. My mother, Claudia Louise Tarver, was the first black nursing administrator in the City of Flint, and she enjoyed a long and distinguished career at Hurley Hospital. My sister Elizabeth Bernice Davis and my brother Fred Tarver were pillars of the community – both of them examples of professional excellence and community spirit. Flint – Flint is in me. [/blocktext] I proudly tell people wherever I go that I am a Flintstone. 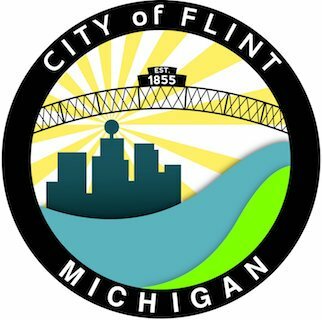 But if you had told me and my friends, back when we were coming of age in the 1960s, that Flint would one day be the poster child for urban neglect and decline, and that the most basic of infrastructure elements, the water system, would be fatally compromised, we would have laughed at you. In the Flint we knew, that would have been unthinkable. 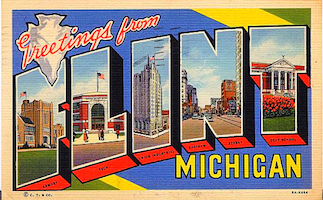 In those days Flint was, literally, a model city. In the Flint of the 1950s and 60s, life was good. Symbols of progress were all around. I vividly remember walking with my classmates from the old Walker School, which was being torn down to make way for a brand new YMCA, to the new Walker School, a state-of-the-art facility near the Cultural Center. I remember sitting in the car with my mom at a railroad crossing, watching rail cars loaded with Buicks and Chevys departing for faraway places. I later realized that it was those cars going out – and the resulting dollars coming in – that made Flint an economic powerhouse. I remember participating in the Flint Science Fair, a huge annual event that placed our community at the forefront of scientific aspiration. I remember attending Whittier Junior High School and Central High, storied red brick buildings that sat on a verdant campus in the center of town, evoking images of Harvard or Yale. I remember walking to the vibrant downtown with my buddy Wally Ross to shop at the Kresge and J.C. Penny department stores. I remember playing ball with my buddies in front of the estate provided to the superintendent of schools, which was right at the end of our street. I remember hiking along Gilkey Creek, past the estate of one of the country’s richest citizens, Charles Stewart Mott, less than a mile from my house. I remember stuffing inserts into copies of the Flint Journal until 2:00 am on Sunday morning, and then retreating with my buddies to Kewpee’s for a burger, fries, and a shake. The Flint of the 1960s was a blessed community, one in which every adult who wanted a job had one. It was a community where practically all of the kids in my old neighborhood saw opportunity and strived to achieve. Most succeeded, and grew up to be doctors, lawyers, engineers, police, skilled trade workers, writers, artists, and more. So how in heaven’s name did we get from that community to the one we see today, where poverty and crime are rampant, opportunity is absent, and people don’t even feel safe drinking the water? My friends and I didn’t see it at the time, but the seeds of our community’s destruction were being sown even as we celebrated the good life. The 50s and 60s were a time of transformation in this country, and Flint was in the vanguard of the changes. The Flint I was born into was a largely segregated city, in the midst of a largely segregated society. When I speak about this subject to various groups, I often show a picture of the NFL Champion 1953 Detroit Lions. Everyone in the picture – players, coaches, trainers, water boy – is white. Then I ask the question, if this is what a professional sports team looked like in 1953, what must a corporate board room have looked like? The country and the Flint community were slowly integrating, though. In 1954, the U.S. Supreme Court declared public school segregation unconstitutional, and when I began attending grade school, I did so at an integrated schoolhouse, and was educated by both white and black teachers. However, that is not to say all was rosy in Flint. Certain jobs, certain neighborhoods, certain commercial establishments were still simply off-limits to blacks. I remember riding the escalator at Smith Bridgman’s department store with my mom and peering through a glass wall into the store’s cafe. I never saw a black face in there. Blacks and whites lived in close proximity, but we each knew our place. The computer engineer in me wants to say that our separation was logical rather than physical, but that’s a bit too cute. The fact of the matter is that blacks were not recognized as having the same rights as whites, and that difference in status is what allowed us to peaceably coexist. [blocktext align=”right”]My friends and I didn’t see it at the time, but the seeds of our community’s destruction were being sown even as we celebrated the good life. [/blocktext]Sitting at my grandmother’s knee on our living room floor, I watched the civil rights movement play out on our black and white TV. I saw the marches and the speeches and the beatings, and I knew that something big was happening. Dr. Martin Luther King’s “I Have a Dream” speech during the March on Washington in 1963. The Civil Rights Act of 1964. The Voting Rights Act of 1965. These were tangible signs of progress, and cause for hope. In 1967, the revolution came to Flint, and as a 14 year old, I found myself smack in the middle of it. My friend Kirk Davis and I joined a sleep-in demonstration on the lawn in front of city hall – a protest against the practices and covenants that restricted blacks to living only in certain neighborhoods. Largely as a result of that protest, in early 1968 the citizens of Flint passed the nation’s first open housing ordinance. Kirk and I, like most Flint blacks, saw the ordinance as a huge leap forward, but it was, unbeknownst to us, the beginning of the end of the Flint we knew. With the end of “logical separation,” whites began to flee the city, in droves, in order to achieve physical separation. Their exodus was aided by the newly constructed north-south and east-west freeways that slashed their way through Flint in the early 1970s. Then the jobs started to leave, aided by those same freeways, by President Nixon’s opening to China in 1971, by technology, by GM executives’ resentment of Flint as the place where the auto union movement was born. Then many middle class blacks, sensing disinvestment and loss of opportunity in Flint, began to leave. Then anyone else who could leave often did – for the suburbs, for the Saturn factory in Tennessee, for the newly resurgent South, for the Sun Belt, for the Golden State, California. The Flint we see today is the culmination of the separation and disinvestment that began after World War II and accelerated during and after the civil rights movement. Today’s Flint is much smaller. Its citizens are on average much poorer than those in the surrounding suburbs and state. Decisions governing the lives of those remaining citizens are being made largely by unelected “others.” Today’s water crisis is a direct result of these processes, but it is far from the only result. Flint faces other crises that are potentially just as potent as the one that now imperils the water supply: crises related to employment, education, public safety, health and nutrition, public infrastructure, the environment, business vitality, and more. 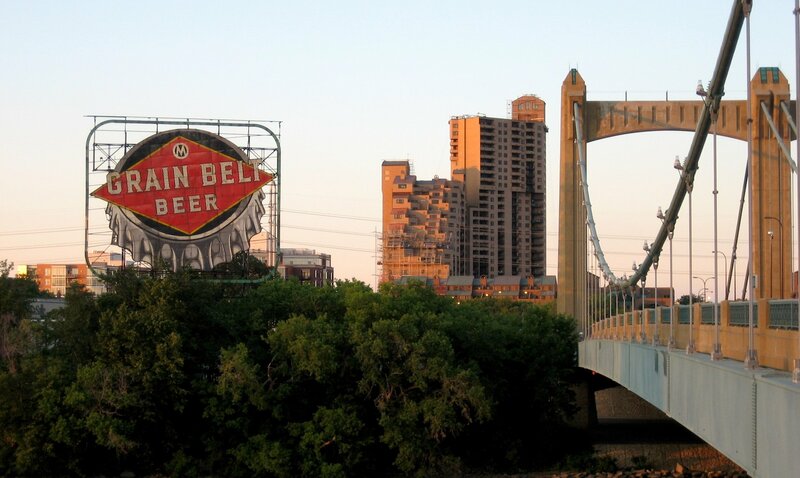 Like the water crisis, these other brewing disasters result from policies enacted by local, state, and federal governments, corporations, foundations, and business leaders. Those policies have resulted in a tragic and expensive situation in which taxpayers are paying the price of having destroyed a once-thriving city while also paying the price to build and maintain new infrastructure outside the city. We pay a tremendous price to incarcerate and otherwise regulate the human beings victimized by our disastrous policies, instead of directing those resources to educate and elevate them. This is not a just or sustainable situation. The obvious question at this point is: where do we go from here? The answer is: it depends. I say it depends because, notwithstanding the shiny new “Imagine Flint” strategic plan document, a very basic question must be answered: Do the powers that be want to elevate Flint’s poor and black citizens, or do they simply want them to leave? and elevate all of Flint’s citizens, we need to enact different policies. To implement these policies, we need to enlist people with the passion, expertise, and commitment to solve some very difficult issues. [/blocktext]Even before the water crisis, Flint was firmly headed down the latter path. 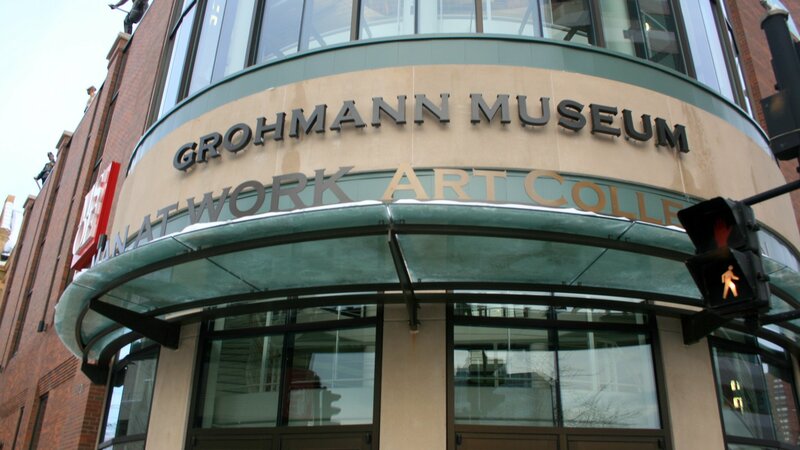 Some of the policies dictated by this path were: Don’t clean up the enormous environmental brownfields that scar the city, areas that resulted from the departed General Motors factories. Don’t attract new industries that could replace the lost GM jobs. Focus new investment dollars and grants on downtown development, as opposed to shoring up people and neighborhoods. Buy up the properties abandoned by the jobless and departed citizens and put them in a “land bank,” to facilitate future “green space” and gentrification. Encourage families to withdraw from the underfunded, overstressed public schools in favor of charter or suburban schools. De-emphasize drug treatment and community engagement in favor of incarcerating thousands of (mostly black) non-violent offenders. Spend whatever is required to give Flint the country’s most pristine public water supply. This is the essential first step toward restoring public trust. Put in place broad based entrepreneurial business development programs to create a new culture of ownership and empowerment. Implement creative strategies that encourage and empower citizens to redevelop properties in Flint neighborhoods. Implement credible, state-of-the-art reforms that allow students to get a great education at Flint public schools. The rapid deindustrialization, mass migration, and urban destruction that occurred in Flint didn’t have to happen. These phenomena were the result of human bias and policy choices, and were uniquely American. Japan and Germany, both auto powerhouses, didn’t dismantle their cities and manufacturing infrastructure, and yet it was the American car companies, not the Germans or the Japanese, that nearly or actually went bankrupt. What does that say about us? Why would we endure such deep self-inflicted wounds? Racism? Greed? Short-sightedness? Stupidity? All of the above? [blocktext align=”right”]The optimist in me wants to say that Flint’s water crisis is perhaps a blessing in disguise, but nothing that results in dead children can be called a blessing. [/blocktext]The optimist in me wants to say that Flint’s water crisis is perhaps a blessing in disguise, but nothing that results in dead children can be called a blessing. It is fair to hope, however, that this grotesque crisis will motivate leaders in government and business to work with the community to finally face and correct the damage done to Flint. The response to this crisis needs to go far beyond providing potable water to Flint residents. It needs to go beyond providing financial grants to local government and community organizations. 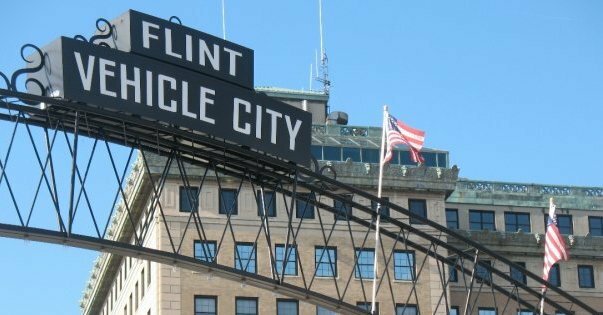 The challenge, in a nutshell, is to channel this country’s considerable business, industrial, intellectual, and financial power toward rebuilding the city of Flint. Why Flint, you may ask, when many other cities are suffering under similar economic and social conditions? The answer: because Flint is the city where the disinvestment, dysfunction, and neglect got so bad that children were poisoned. We rescued the American auto industry. Can we not rescue the city where it was born? Flint native David Tarver is the founder and president of the Urban Entrepreneurship Initiative, Inc. He also teaches a course titled “Urban Entrepreneurship” at the University of Michigan, Ann Arbor. Tarver is the founder of technology firm Telecom Analysis Systems, which he sold in 1995 to U.K.-based Spirent plc. In 2012, he published Proving Ground: A Memoir. Tarver holds bachelor’s and master’s degrees in electrical engineering from the University of Michigan. He is a proud graduate of Flint Central High School. Belt is a reader-supported publication — become a member, renew your membership, or purchase a book — including our forthcoming Happy Anyway: A Flint Anthology — from our store. An article typical of the style and high quality with which David expresses his thoughts and tells the story. I’m certain many alumni of Flint would agree with his descriptions and accuracy of his description of Flint’s history. I hope they will share his optimism and desire to be a part of the solution. Thanks – I appreciate your support, and have learned much from your example. Wonderful well written article. As a former Michigan daily staffer circa 1969 it makes me want to write a similar history of the death of affirmative-action at the University of Michigan. I am working with NASW Michigan on a task force in response to Flint crisis. At the recent Cuyahoga County conference on social welfare I organized a workshop of experts on lead poisoning. I am working with others to establish a tooth fairy kids campaign that will demand that we use laser ablation testing of the shed teeth of children so that we can once and for all know exactly how much lead and other heavy metals our children have been exposed to both in Cleveland and in Flint. I can be Contacted at Cleveland State University and hope to get in touch with the author of this article as well. Typo on my name it is dover. Wonderful well written article. As a former Michigan daily staffer circa 1969 it makes me want to write a similar history of the death of affirmative-action at the University of Michigan. I am working with NASW Michigan on a task force in response to Flint crisis. At the recent Cuyahoga County conference on social welfare I organized a workshop of experts on lead poisoning. I am working with others to establish a tooth fairy kids campaign that will demand that we use laser ablation testing of the shed teeth of children so that we can once and for all know exactly how much lead and other heavy metals our children have been exposed to both in Cleveland and in Flint. I can be Contacted at Cleveland State University and hope to get in touch with the author of this article as well. Thanks for your message. Yes, a multitude of issues must be addressed to move us toward a more just society, but if we focus on Flint, we can make it a positive model for what can be accomplished. This is what I am advocating. As a born and raised Flint resident, your article and perspective are invaluable. The Flint water crisis is indeed decades in the making, not limited to the systemic failure of all levels of government. About the only thing I would add to your post is that while GM certainly deserves its criticism for its cold economic abandonment of Flint, so do the unions and democratic party – who held power during the past 50 years – yet failed to protect Flint, its workers and citizens. And it continues to this day. Sending Cher to Flint, for example, during the final days of the recent presidential campaign, speaks volumes to their continued lack of understanding and comprehension of our current dilemmas. People are hurting here, facing third-world issues daily, yet Cher is the best they can come up with. Now, if she’d have come here to talk about the horrible decline in quality of Angelo’s coneys, she’d be more than welcome. Thanks for your forum and continued best wishes.